No More Excuses, No More Going Through The Motions and No more BS! Life is too short and too precious to live your life hating your body. We are all beautiful no matter what your shape or size. It's way past the time to STOP comparing your body to airbrushed models and celebrities in magazines, television and movies. It's time to STOP trying to measure up to a standards that are not based in reality and start enjoying your life. I'd rather die than be seen in a bathing suit! We postpone our life and plan events around our how we are feeling about our bodies. Ever have a fat day? When nothing you put one is right and everything in your whole day is ruined. Ever skip a party or social gathering with friends or loved ones because you had to wear shorts or a bathing suit? I bet you, you can name a few occasions, Huh? Waiting to enjoy your life is just wrong! And you are cheating yourself out of a delicious life! Your body does NOT have to be your enemy. It's time to make friends with your body! Your body has sustained a lot over the years and if you have had your HEALTHY DO OVER, you have learned just how much. You have leaned just how important it is to nourish not only your tummy but your soul. How to implement some seriously positive and amazing life altering secrets to having more energy and living a juicer life every day. So it's time to stop spinning your wheels so you can shine and sparkle like the jewel that you are. I think sometimes we just forget who we are! We forget because we have been suppressing the real you. Isn't it time you figure out and embrace the real you, who you are? Do you know what inspires you? What makes you happy,? What you love? When it's time to let go of some yucky stuff? What to reclaim in your life? That's where I come in! I'm here to be your guide, to be your coach and to be that push that reminds you to stand in the light of your greatness. I have a straight forward approach and will not let you cop out of living your most extradordinary life you can have. I use laughter, humor and will love you throughout your journey of transformation. Finding the Sparklewithin you is about stepping into your beauty and becoming the best and most fabulous version of you. You are magnificent, it's time to embrace you! 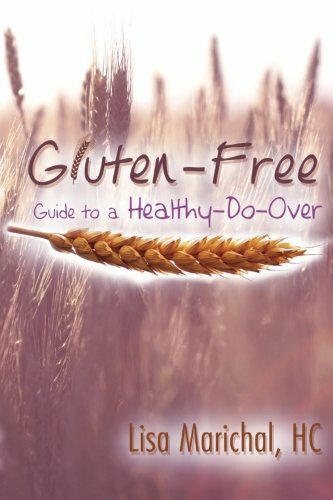 Healthy-Do-Over is about taking control back of your life, when you live with gluten challenges. Doesn't matter if you have celiac disease or gluten sensitivity Healthy-Do-Over's Blog is a great resource filled with research, tips, inspiration and answers to some tough questions not even your doctor may know. "Celiac disease is one of the most common lifelong disorders in both Europe and in the United States." It is estimated that 1 in 133 Americans about 1% of the population have celiac disease. However, it is also estimated that 83% of Americans who have celiac disease are undiagnosed or misdiagnosed with other conditions according to celiac disease facts on celiaccentral.org. In addition, research also estimates that 18 million Americans or 6 times the number of celiacs, have non-celiac gluten-sensitivity. Most people don't pay attention to their health until they have reached crisis level and then have no clue about how to repair the damage that has been done to their health. Healthy-Do-Over helps you retrain your body to heal and to begin to repair your health one day at a time. Hi I'm Lisa Marichal and welcome, I look forward to getting to know you and helping you live a healthier and happier life even with some gluten challenges. One more step: Please confirm your email and your goodies are on the way. :) Thank you!